The 49-year-old actor caught the disease on a trip to Sudan in North Eastern Africa in the first week of January – where he was working with the United Nations and Google on a project to help prevent a new civil war – but he has made a full recovery. His representative said: "George is completely over the Malaria he contracted while in the Sudan during the first week in January. This was his second bout with it. This illustrates how with proper medication, the most lethal condition in Africa, can be reduced to a bad ten days instead of a death sentence." 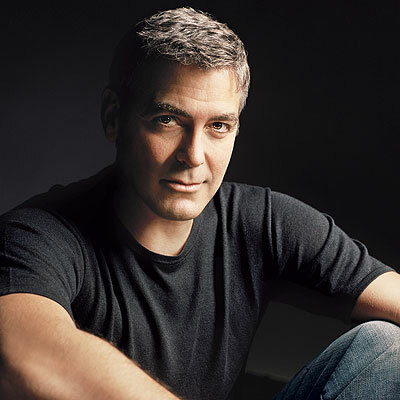 The news of the actor’s illness was announced by Piers Morgan – who interviewed the star for his CNN chat show – when he wrote on his twitter page: “BREAKING NEWS: George Clooney has contracted malaria following recent trip to Sudan. Reveals news on @PiersTonighttomorrow 9PM ET … More Clooney - it's his 2nd bout of malaria. Piers then revealed he had received many offers from willing women to nurse the ‘Men Who Stare at Goats’ star back to health but their offers were too late. He tweeted: “Clooney malaria update: now have 24,563 offers to nurse him. But his rep says medication worked and he's OK. Sorry, ladies.